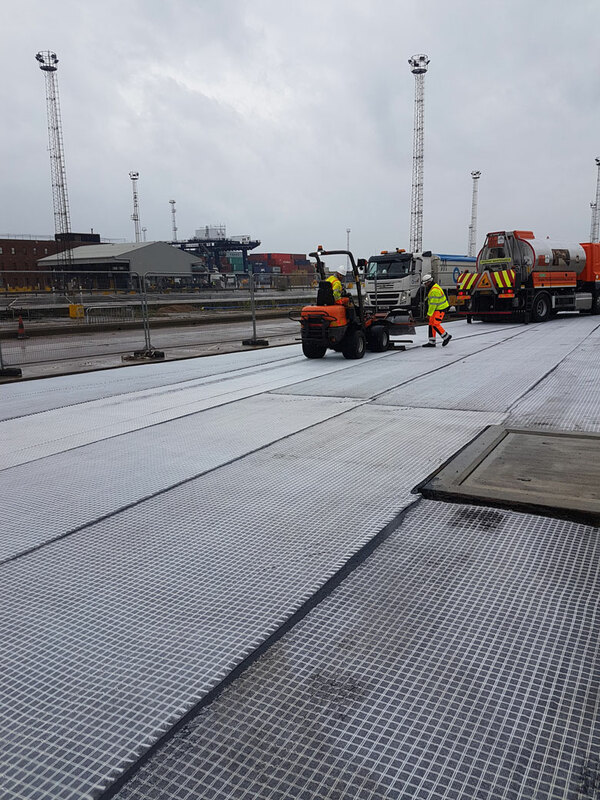 We have laid TARMAC’s AC10 EME2 Product, which was designed for this project and is ideal for heavy use areas. EME2 uses a high content of hard bitumen binder combined with carefully graded aggregate to give stiffness and deformation resistance. The high content of binder delivers good resistance to fatigue and cracking, with the added benefits of workability and laying quality.